Law study program establishes graduates’ competencies with the ability to understand the principles of law, dogma of law and having basic skills of law dogmatic research, and handling legal issues professionally, acting humanist, ethical, and religious. Economics of Development study program aims to produce graduates who have knowledge and understanding about economic theories and their applications; to produce graduates who are able to think and act critically, creatively, and innovatively; to produce graduates who have effective communication skills. Islamic Economics study program aims to produce graduates who are able to follow and develop the concepts, theories, and applications of Islamic Economics; to produce graduates who are able to think and act critically, creatively, and innovatively; to produce human resources who are able to dig and develop local values which are synergic with the values of Islam so that they can produce useful concepts for solving economic problems. Management study program aims to create relevance graduates who are able to compete at home and abroad; to create conducive academic atmosphere; to increase high productivity and efficiency; and to raise the soul and culture of entrepreneurship and professional competencies. Accounting study program has purposes to produce graduates who have the soul of entrepreneurship and are able to integrate the awareness of divinity, humanity, and environment in their personality; to strengthen and disseminate scientific works in accounting with local and universal characters; and to disseminate accounting students and lecturers’ innovations and creations through community services. Entrepreneurship study program aims to produce creative and innovative graduates who have the ability to manage and create independent businesses ethically and morally, and able to compete globally. The goal that wants to be achieved by Economics, Finance, and Banking study program is that the graduates are able to: follow and develop the concepts, theories, and applications of financial economics and banking; think and act critically, creative and innovative with effective communication skills; apply knowledge and skills in productive activities and service to the community; have high moral and ethical integrity which are able to work honestly and responsibly. Public Administration study program aims to produce graduates who are professional and highly dedicated, and being sensitive to the issues of public administration, master the science and technology of administration, competent and able to guide and develop public or state administrations. Business Administration study program aims to produce graduates with academic skills to formulate planning, implementation, evaluation, and follow-up of business activities, and able to communicate with outside parties in the field of science, researches and application of scientific activities in business. Taxation study program aims to produce a bachelor of taxation who is qualified, professional, having moral integrity and able to compete in global era. Library Science study program aims to produce a bachelor or library and information science who has academic skills, independent and professional in the field of library and information science nationally and internationally. Tourism study program aims to produce graduates who are able to formulate planning, organizing, staffing, directing and controlling, and evaluating the programs in operational level in various kinds of tourism business organizations. Educational Administration study program aims to produce graduates who master the concepts and theories about designing and managing educational institutions, implementing educational policies, managing educational services and able to manage educational institutions to actualize education values and qualities: efficiency, effectiveness, justice, and democracy in both individually and teams. Agroecotechnology study program aims to produce graduates who have skills in the technology of environmental management of agriculture to be able to produce sustainable agriculture products, skilled to manage agriculture environment to increase the production of agriculture, and be subtle, innovative, and creative to implement the science and technology of agriculture. Agribusiness study program produces graduates who are qualified and master and implement science and technology, thinking analysis, critical and synthetic, capable of entrepreneur, ethical, fair, and globally competitive, and skilled in the development of agribusiness to develop economic community. Animal Science study program aims to produce graduates with excellence in the development and application of science and technology of the entrepreneurial livestock industry. Civil Engineering study program produces graduates who are able to do planning, implementation, and supervision of infrastructure development, virtuous and noble personality, globally insightful, professional, innovative, creative and able to work together in a team, having entrepreneurship and self-development skills. Mechanical Engineering study program produces graduates with qualified skills of mechanical engineering to comprehend the basics of knowledge and its methodologies, able to apply science and technology, able to think and act as a scientist, and able to follow the development of science and technology. Electrical Engineering study program conducts an educational system which produces graduates who are competent in the field of electrical engineering, entrepreneurial, having virtuous noble character, able to develop and apply science and technology which is useful for the society. This study program aims to produce excellent and firm graduates who are able to compete nationally and internationally which is related to planning, designing, implementation, operating, maintenance and developing water resource, and having real contributions in the development of science and technology in the field of watering in the activity of community services. So that graduates can have active roles and participate to determine the direction of national policies especially in the field of watering. This study program aims to produce graduates who are able to lead and cooperate with other disciplines, with the approach of archipelago architecture which adapts to various values of local social-culture and manage it through community service activities which are oriented toward sustainable environment. This study program produces graduates who are competitive, having global perspective, and oriented to sustainable development planning especially in the development of cities and villages, be independent, having entrepreneurship skills, think critically and analyze intellectually, socially and culturally. This study program conducts higher education program in industrial engineering which is relevant to people and industries’ needs and produces graduates who have moral, academic skills, and entrepreneurial spirit. Medical Education develops the latest and qualified education, research, and community service in the field of medicine to build the future of the nation based on universal values. Nursing study program produces professional graduates with entrepreneurial spirit who are able to compete at national and international level with emerging emergency leaders based on universal values. 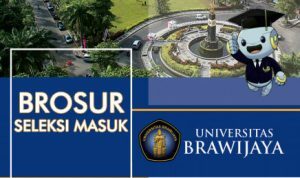 This study program also produces qualified researches with grant funding from inside and outside of Universitas Brawijaya and also produces qualified community services and the realization of the target area for community empowerment. Nutrition Science study program conducts education in the field of health nutrition with international quality and develops researches in the field of appropriate health nutrition in accordance to the nutritional problems in the community. This study program disseminates research results in the field of health nutrition through national and international publications, organizes community service activities in an effort to improve health degree, and establishes cooperation with domestic and foreign institutions in order to improve the quality of educations, researches, and community services. Midwifery study program undertakes the latest and qualified midwifery education in accordance to the national standards of midwifery education and conducts scientific researches to develop midwifery science and technology, and applies innovative research results in midwifery practices. Pharmacy study program conducts pharmaceutical education so that learners can become a pharmacy scholar who has characters and entrepreneur spirits, conducting and developing researches, and organizing community service activities in the field of pharmacy. Aquatic Resources Management study program aims to produce human resources who are able to develop, apply environment management of aquatic and fishery resources, and able to compete in international level and served to community development. Aquaculture study program aims to produce graduates who are able and skilled to manage environmentally friendly aquaculture, to choose aquaculture systems engineering with reference to the potential of aquatic resources, to determine the designation of a water, to classify a kind of water, to analyze water quality for fishery purposes; and able to entrepreneurship. Fishery Product Technology study program aims to produce qualified graduates so that they are skilled and able to compete in their field, skilled an able to manage fishery products for the sake of food and industry, having entrepreneurial spirit, skilled and able to plan and develop technology of small-medium industry of environmentally friendly fishery. Fishery Resources Utilization study program aims to produce professional marine scholars who are opened and responsive to the changes and advancements of science and technology in the field of fishery and marine, mastering the basic of sciences in the field of marine which is environmentally friendly and entrepreneur spirit, and applying the knowledge and skills of marine technology in accordance to the field of competence in productive activities, innovative and service to the community. Marine Science study program focuses on the interest/ concentration of science studies such as oceanography, conservation, and exploration of marine environment. Graduates of Marine Science are expected to have the insight and academic-technical capabilities needed to solve problems, conduct research for development, and also serve the community service and empowerment in marine field based on the competence of non-fish exploration and exploitation, oceanography as well as conservation of coastal and marine resources. Fisheries Agribusiness study program aims to produce graduates with fisheries agribusiness competitiveness (socio-economic fisheries) in the field of fisheries and marine studies including: business and trade, resource economy, and social fisheries which are adaptive, creative, character, smart and independent, as well as having international perspective. Department of Biology educates students into scholars, masters and doctors who have a thorough understanding of modern biological concepts (current concepts applicable at this time) and bio-conservation. The biology scholar must have a good academic profile/achievement, uphold ethics by respecting the right to live of all life forms and being able to work together in their environment. Physics study program aims to produce graduates who are opened, responsive to changes and advances in science and technology as well as the dynamics of social and civil changes, particularly those related to the field of medical and environmental physics; have the ability to apply their knowledge and technology skills professionally; mastering the scientific foundations as well as the knowledge and methodology so as to be able to find, understand, explain and formulate the best and prudent solutions; pursue scientific foundations to be able to think, act and act as a scientist in the field of medical and environmental physics. Department of Chemistry becomes a leading institution in the field of chemistry education and research in the development of natural resources that are environmentally friendly. Chemistry Department conducts professional and international standard chemistry education, develops potential nature-based research into excellent products, implements research results to develop environmentally friendly industries. Geophysics study program aims to produce graduates of geophysics engineering who master the scientific concepts of geophysics science and able to apply them to solve various problems, especially in the field of geophysics exploration, monitoring, and disaster procedurally and able to follow the development of science and skills especially in the field of geophysics exploration, monitoring, and disaster. This study program organizes an international-level education program oriented to produce scientists, industry practitioners, and entrepreneurs who are professional in food science and technology, conducts research to develop science and technology in the field of food and play an active role in the application and dissemination of food science and technology in order to encourage the development of industry. This study program conducts an educational process professionally to produce graduates with competencies in the field of agricultural engineering, plays an active role in solving problems in the field of agricultural engineering through synergy with other disciplinary science groups, taking an active role in global scientific activities in the field of agricultural engineering, and building and developing science knowledge and technology related to agricultural engineering. This study program conducts an education in the field of agroindustry to produce professional graduates, with entrepreneurial spirit and personality of Indonesia, conducting applied research and dissemination of science and technology to develop agroindustry system, and carrying out community service to create a strong national agroindustry. This study program runs a qualified education program in the field of industrial biotechnology that can compete nationally and internationally, conducts industrial biotechnology research to produce products that benefit human welfare as well as diffuse science and technology to the society in facing bio-economic era. This study program conducts a professional educational process to produce graduates with competencies in the field of environmental engineering, create and develop science and technology and actively participate in global scientific activities in the field of environmental engineering through research activities, scientific article writing, seminars and dissemination of research results, as well as play an active role in solving tropical and global environments in the framework of nation-building sustainably both nationally and internationally, through the application of creation and development of science and technology, the results of research or synergize with other disciplinary groups of science. This study program conducts the process of professional bioprocess technology education in an international standard, capable of producing competent scholars in the field of bioprocess technology, develops research in bioprocess technology for food and non-food products and implements research results to develop small, medium and large bioprocess based industries. Sociology study program has a vision to become a superior department that plays an active role for the development of society through the process of education, research and dedication as well as a scientific information center in the field of sociology with social and cultural wisdom. Therefore, the graduates of sociology are expected to have competencies, independence and competitiveness that can play an active role for community development and empowerment. Communication study program aims to produce graduates with theoretical abilities (understand theory, methodology and research design, understand communication phenomena with local perspectives), practical (theoretical applications, journalistic writing practices, communication training, mediation and negotiation, as well as diagnose and analyze media content), and managerial (identification and formulation of communication program, consultation and arrangement of marketing communication strategy and market research). Psychology study program aims to produce graduates who are devoted to God Almighty, virtuous, have intellectual and practical skills, and entrepreneurial spirit, develop technology-oriented research and its implications for individual and society through the center of psychology study and apply psychology to empower individual and society through technology. In general, a bachelor of international relations is directed to have competencies in several fields of work, among others: diplomatic affairs, i.e. knowledge and skills to work in the ministry/foreign affairs ministry and other diplomatic institutions; transnational affairs, i.e. knowledge and skills to work on various transnational institutions or become transnational actors themselves; scientists covering basic knowledge and skills to work as analysts, teachers and researchers; Journalists, i.e. knowledge and skills to work as journalists, especially on issues and international issues. Political Science study program aims to produce graduates with the competencies of knowledge and skills in understanding and analyzing Indonesian politics and public policies, being sensitive and able to participate in political changes and policy debates, mastering political methodology and technology and contributing to better political changes, have sufficient academic capacity and expertise to pursue master and doctoral programs, and have a commitment to community service for improving the political quality of society and government policies. Graduates of government studies program can work in various governmental and non-governmental institutions such as bureaucrats, politicians, heads of government agencies, lecturers, consultants, expert staff, researchers, media analysts, government analysts, social workers and social entrepreneurs. Graduates of government science are expected to have knowledge of government in general and knowledge of institutional, innovation and local government in particular; having a polite, integrity and ethical attitude and being able to work in team and have a social entrepreneur spirit. English Literature study program aims to produce graduates who are virtuous, cultured nationally and globally in the field of language, literature and culture both English and national related to other fields of science, competitive and economic value and able to apply in productive activities and services to the community. Japanese Literature study program aims to produce graduates who have skills in teaching, research and translation and have entrepreneurial spirit in the field of language, literature, Japanese culture and interdisciplinary studies. French Language and Literature study program has a mission to produce graduates who master French language, literature and culture, develop research in French language, literature and culture and communicate and apply it to the public. Chinese Literature study program aims to produce graduates with basic knowledge of Chinese language, literature, and culture skilled in translation, press and business/entrepreneurship. Indonesian Language and Literature study program has a mission to organize higher education in order to improve the equality and expansion of access for the public in the education science of Indonesian Language and Literature in particular, and national culture in general. English Education study program aims to produce graduates who can follow and develop English language education concepts, theories and applications, have basic English proficiency and pedagogical competencies, are able to think critically, creatively and innovatively with effective communication skills. Japanese Language Education study program aims to produce graduates of Japanese language education graduates who are professional, have a high ability in developing and applying knowledge in the field of education and have the ability of entrepreneurship, high independence and have competitiveness in the community. Fine Arts study program aims to produce graduates of art scholars who are creative, productive, and innovative in accordance with the need of society and have entrepreneur spirit, intelligent, and cultured of Indonesia. Anthropology study program aims to produce anthropology graduates who master the theories, concepts, and methods of competent anthropology in the field of socio-culture, reveal and analyze socio-cultural problems of society, and apply the knowledge of anthropology in socio-cultural life of society, especially tourism issues, media, and development of eastern Indonesia. Veterinary Program has a vision of producing veterinarians who are competent, resilient and able to compete with graduate profiles as clinics with the mastery of recognized aspects of molecular insights, academics, researchers and technopreneur at national and international levels. Informatics study program presents the utilization of information technology in the process of problem identification, data processing and information, and problem solving and decision making in accordance to the principles of science and engineering. Information System study program focuses on improving managerial capabilities of information and communication technology and human resources that are expected to create a system that is able to accommodate the needs of information that is growing rapidly. Education of Information Technology study program produces graduates as educators who have the main competencies in the field of teacher covering pedagogic competencies, professional competencies in information technology, social competencies, and have personality. Information Technology study program concentrates on producing qualified graduates in Information technology, having the ability to compete in the work. To that end, the curriculum of Information Technology study program is specially structured with reference to the needs of the work and standards of the Association for Computing Machinery (ACM). Computer Engineering study program aims to synergize human intelligence with the sophistication of software technology and hardware reliability to realize an intelligent system that can improve human welfare. Dentistry Education develops advanced, effective, qualified, and nanotechnology-based educations, researches and community services. It produces graduates with spirited and/or entrepreneurial skills in the field of dentistry that benefit the community and develop competent organizations and management.